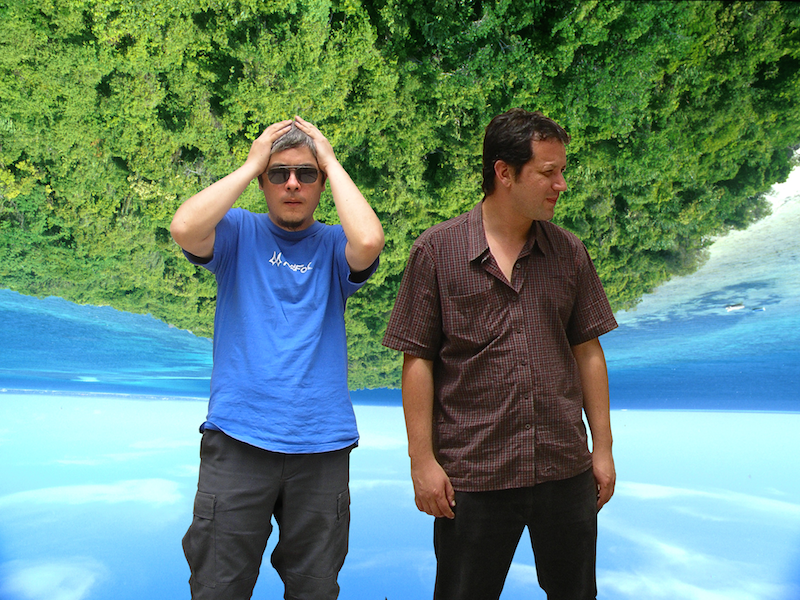 We met Duopandamix (Gabriel Acevedo and Guillermo Guevara) in early 2002 through Álvaro Ruiz, who gave us DPM’s demo and instantly fell in love with it. At first we thought it was another side project of Álvaro Ruiz but we soon learnt that Duopadamix did exist and were part of an artistic movement centered around Yoshua Okon and Miguel Calderón’s long defunct La Panadería Gallery in pre-hipster La Condesa in México City. DPM’s debut album was released in the summer of 2003, since then it has become a cult classic of modern Mexican electronic music. Pixel rhythms, blunted dub and digital compression. Antique beat boxes, jewels of another electronic era and humor. Soundtracks for imaginary videogames circa 1980. 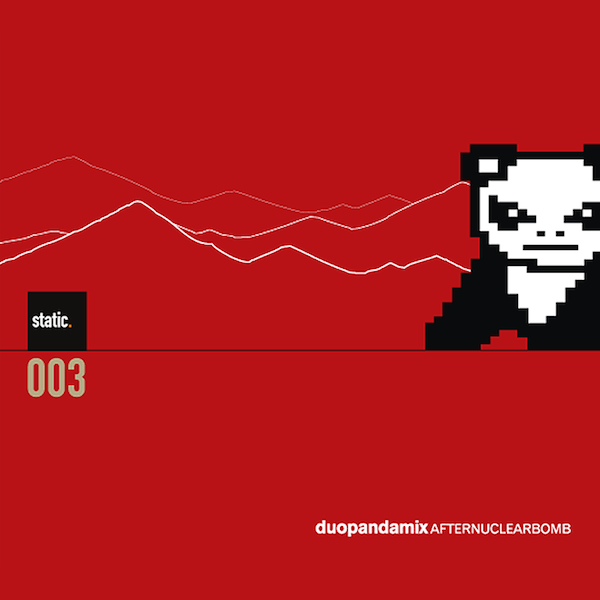 Afternuclearbomb is the debut CD by Duopandamix. Sounds from a devastated México City (circa 2002) where only cheap technology survives and strives. Globalization has taken its toll and we are merely the robots. An expansive sound that is close to all of those tawdry technologies you so happily consumed in order to live in the future that never arrived. The songs are basic, repetitive and robotic.The ten tracks are linked with verve, and can’t stop dancing. It will not stop, without doubt, all summer long. The narrative of the album explains that Afternuclearbomb, only machines survived. Half-robot, half-animal, like Duopandamix. Buy at Beatport, iTunes or stream in Spotify.